Getting pregnant is pretty major, so it’s understandable that the newly expecting have TONS of questions for their doctors. 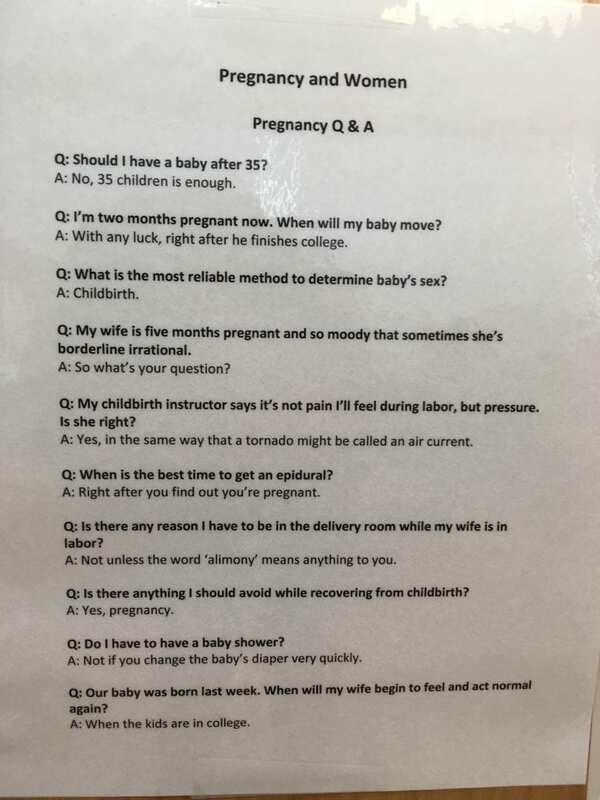 Knowing that, one OBGYN attempted to answer the most important questions BEFORE patients even get in for their appointments by posting this hilarious, tongue-in-cheek sign in the office lobby. Pregnancy can also be stressful, and these fun answers give patients and their partners a much-needed laugh before they head in for their official visit with the doc. Hopefully your OBGYN will take a hint from this doctor’s office and lighten the mood up before your next appointment.